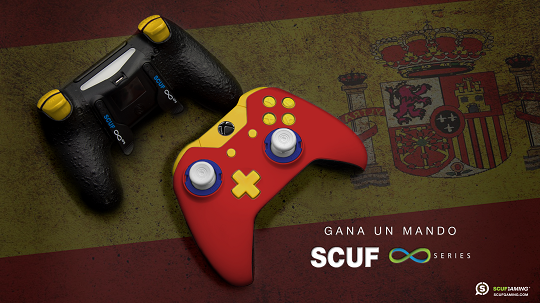 Scuf Gaming Launches SCUF Spain! Scuf Gaming is proud to announce the launch of SCUF Spain’s social media accounts on Twitter, Facebook, and Instagram! These pages join SCUF Global, SCUF France, and SCUF Italy as Team SCUF makes its way all over the world. Follow SCUF Spain for SCUF-related news and Spanish esports announcements!